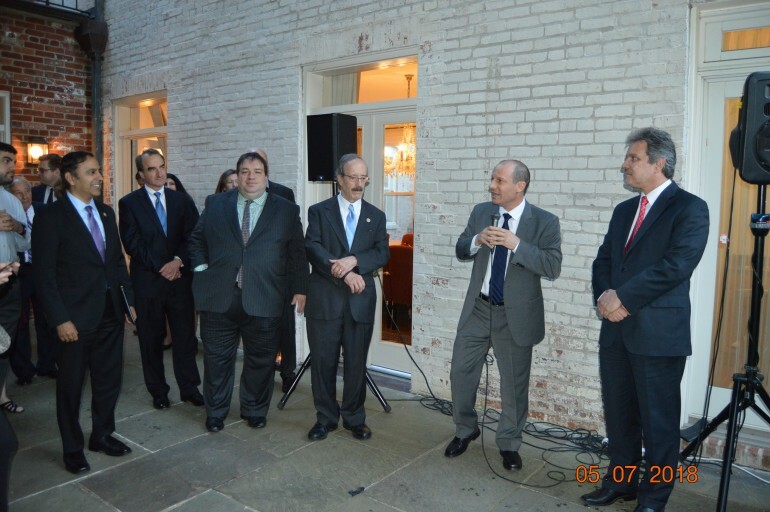 Diplomats, members of Congress, Greek-American and Cypriot-American partners, and AJC leaders gathered at the Greek Ambassador’s residence to celebrate the fifth anniversary of the Congressional Hellenic-Israel Alliance (CHIA). The congressional caucus endeavors to raise awareness of the importance of—and encourage U.S support for—the trilateral relationship among Greece, Cyprus, and Israel, which has yielded important political and national security benefits for the U.S. and the region. This year’s anniversary events coincided with the Greece-Cyprus-Israel trilateral summit in Nicosia. 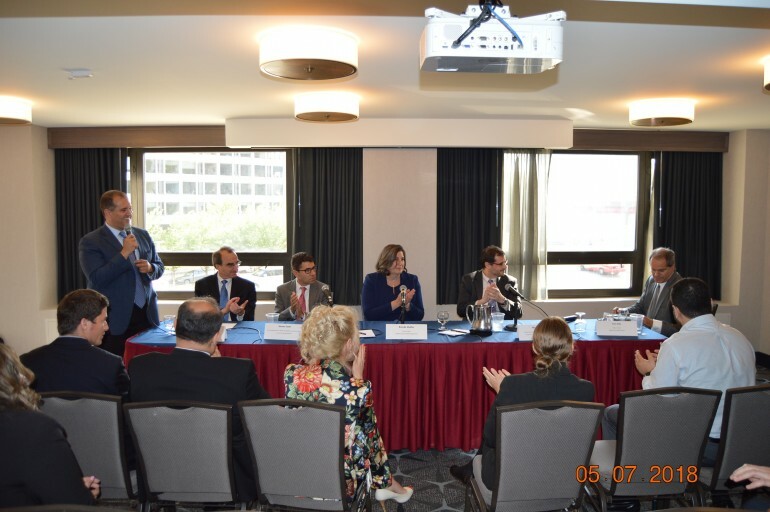 The caucus, now more than 40 members strong, was launched in February 2013 at a meeting of leaders from AJC and the Hellenic American Leadership Council (HALC), and Rep. Gus Bilirakis (R-FL), who co-chairs the caucus with Rep. Ted Deutch (D-FL). The anniversary reception was preceded by an afternoon of panel discussions with think tank analysts, officials from advocacy organizations, and former and current government officials about the Eastern Mediterranean. The anniversary celebration culminated with a day of joint advocacy, which included meetings with over 40 congressional offices on issues of mutual concern. 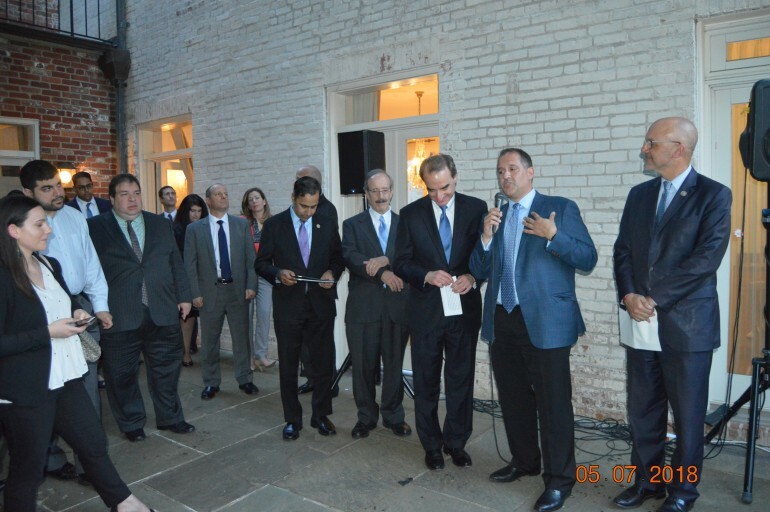 Hellenic and Jewish advocates promoted a House resolution encouraging robust and ever-expanding relations between nations around the world and Israel as it marks its 70th anniversary of statehood as well as a bill to end the Cyprus arms embargo which has hamstrung one of American’s most reliable allies in the region.